PaR nz Golfing Holidays has taken over management of the popular Central Otago Autumn Golf Classic to be held in Central Otago next April. It will be the 10th anniversary of the five-course tournament, which typically attracts more than 400 men and women players. Many competitors arrive as teams representing over 150 clubs throughout New Zealand and Australia. Tournament Director Denise Langdon, of PaR nz Golfing Holidays, says the region is likely to be at its crisp, clear and colourful best for the event scheduled for April 9 – 13, 2018. The mixed field will be divided into four groups, each named for an Otago lake and comprising about 100 mixed-ability players. The five courses involved – Alexandra, Arrowtown, Cromwell, Queenstown and Wanaka – are some of the country’s most picturesque. Every group will play every course, with cumulative stableford points determing the winners in multiple divsions resulting in numerous prizes awarded daily along with overall individual winners in handicap divisions and, team awards. Entries open on October 1, and PaR nz Golfing Holidays can help with accommodation and favourable car rental, and Air New Zealand fares. PaR nz Golfing Holidays have confirmed the on-going support of local winery Mount Michael Wines who have signed up for another three years. The tournament will continue to be known as the Mount Michael Central Otago Autumn Golf Classic. The naming sponsor, Mount Michael Wines have a proud history with one of the countries youngest winery owners fronting this dynamic Otago winery. Mount Michael Wines have sponsored this tournament for over 10 seasons and are pleased to see the event flourish with PaR nz Golfing Holidays. Anna Robbie purchased the business in 2015 and along with partner Tim Dunsdon, who brings with him an agricultural background, Robbie is embracing the 20-year legacy of Mount Michael. 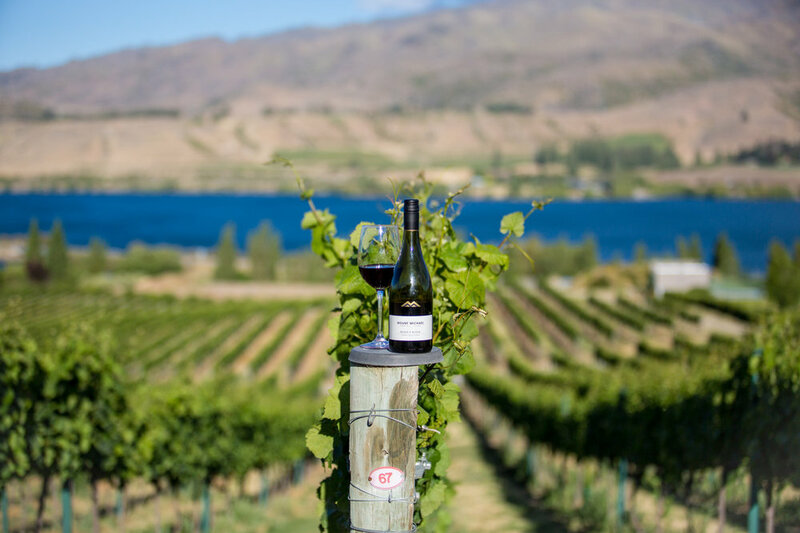 Proudly boutique and producing around 3000 cases per annum, the association with the Central Otago Autumn Golf Classic gives the winery a chance to shine to a very wide audience across both sides of the Tasman. One of the initiatives that has been introduced by Robbie and Dunsdon, is a personally guided private heli-tasting experience allowing wine-buffs to taste the wine collection comprising Pinot Gris, Pinot Rose and Pinot Noir, while also seeing this marvellous area from atop Mount Michael itself. 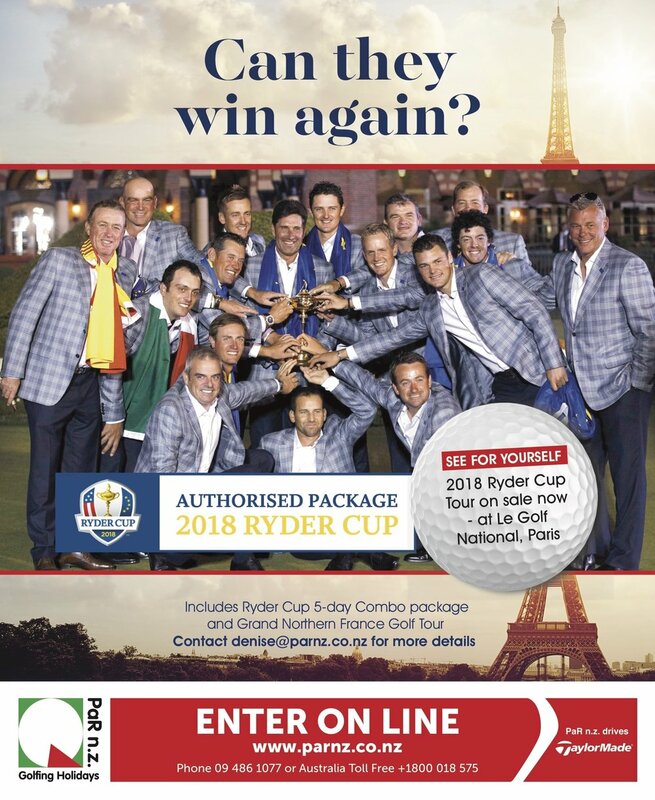 Other sponsorship arrangements are in discussion with PaR nz Golfing Holidays with beer, car rental and accommodation partners expected to be announced shortly. The tournament will be launched with a new logo symbolising the area and the colours of Autumn. The travel guides exhaust superlatives when it comes to describing the Central Otago region, where the annual Autumn Classic is held. Mountains, lakes, forests, cliffs, grasslands, rock outcrops and wide expanses of sky – ‘stunning’ is a word that applies to them all. Never mind bunkers, gazing at the landscapes instead of keeping your eye on the little white ball is a real-enough hazard. Despite a small membership base, this club is widely known for its consistently well-presented course. The club has a long and proud tradition of improvement and voluntary effort. Formed more than 110 years ago on a nearby site before moving 50 years ago to today’s course, it was created on sandy desert soils near the mighty Clutha River. The narrow fairways make the 18-hole course unexpectedly tight and difficult, and an additional challenge is presented by native grasses growing in the rough. An ornamental pond and sculptures are a welcome sight for tired players on the final hole. Golfers with a sense of adventure might enjoy riverboat cruises, or exploring the rail trail and local wineries after play. Arrowtown Golf Club’s course is set in rolling hills on the outskirts of an historic gold-mining town. Formed along the Arrow River below the Crown Range, players almost always have clear views of Coronet Peak and the Remarkables during autumn. Soon after members completed a major environmental redevelopment, the New Zealand Golf Course Superintendants Association awarded the club its 2012 environment award. The project involved removing wilding trees and broom, and re-establishing matagouri among schist outcrops. The shortest course in the Autumn Classic stable, big-hitters must weigh up risks and rewards on many holes. The 18th, for example, calls for a blind shot over a hill to a fairway sloping towards a pond. Good luck with that. Like its Clutha River neighbour at Alexandra, Cromwell Golf Club is also more than 100 years old. It hit its stride in the late-1970s when construction workers for the Clyde Dam and hydro-electricity projects boosted membership. The championship course was formed over terrain modified by years of gold mining activity and with its strategic plantings of marram grass, it resembles a coastal course though it is 200km from the sea. With design input from professional Greg Turner, who has played the course since he was a child, the million-dollar development work done in 2010-12 made the course even more challenging and interesting. The innovative club routinely hosts the annual New Zealand Open Qualifier tournament. The Cromwell basin is in the heart of fruit-growing country and is one of New Zealand’s fastest-growing wine regions. The Kelvin Heights peninsula, home to the picturesque Queenstown Golf Club, often features in classic Queenstown postcard images taken from the gondola at Bob’s Peak. The course is surrounded by Lake Wakatipu and framed by the Remarkables mountain range, which makes it hard to keep your head down. Golfers are afforded amazing views of mountains and shimmering alpine waters at every tee and green. ‘Signature hole’ takes on a whole new meaning at this extraordinary course – the fourth, fifth, ninth, 10th, 14th and 17th could be signature holes on any course. If you had to choose, it probably would be the par-four fifth that curves left around the shoreline of Lake Wakatipu to an elevated green. Compare scenic photographs from any New Zealand golf course, and some of the best will be taken from here. Driving line is key on this hole, as an over-aggressive line combined with a mistimed drive will see you ending up in ‘the drink’. However, the hole sets up for a right-to-left shaped drive which will carve yardage off your approach shot. With a proud and loyal membership base, the club has a long history and welcomes visitors year-round. The award-winning Wanaka Golf Club is one of the largest in the Otago-Southland region, and is set to host the popular New Zealand Mixed Foursomes for the third time this year. Like most of the scenic courses involved in the Autumn Classic, Wanaka began as a nine-hole course created in a rugged landscape. 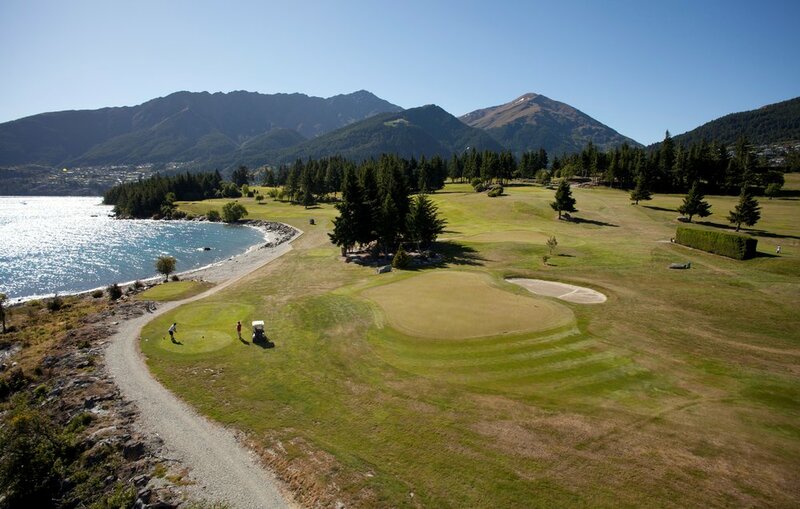 Formed in the 1922 at another location, the present course is nestled above the Wanaka township in the heart of the Queenstown Lakes region. Players negotiating the front-nine have views over the township to Lake Wanaka and the Mount Aspiring National Park. The back-nine has more of a parkland feel with tree-lined fairways and views of Mt Iron, Mt Gold and the Cardrona Valley. A challenging layout following natural contours in addition to small greens make the Wanaka course one to be remembered for more than its imposing scenery.